I did my rounds today and noticed one sheep acting a little funny. Usually they all come running as soon as they hear or see me. Today, most of them were at the fence before I called them, apart from one away on her own. As soon as I called, I saw her ears twitch and she came running, although a little uncertain of herself. I lost track of her in amongst the flock, but soon spotted her, and her problem. She was blind in both eyes. The eyes go grey and the sheep is temporarily blind. I’m not sure what it’s called in English, but we call it ‘an duile’ in Gaelic. Fortunately I have some opticlox in and have treated her. She’ll improve in the next few days. 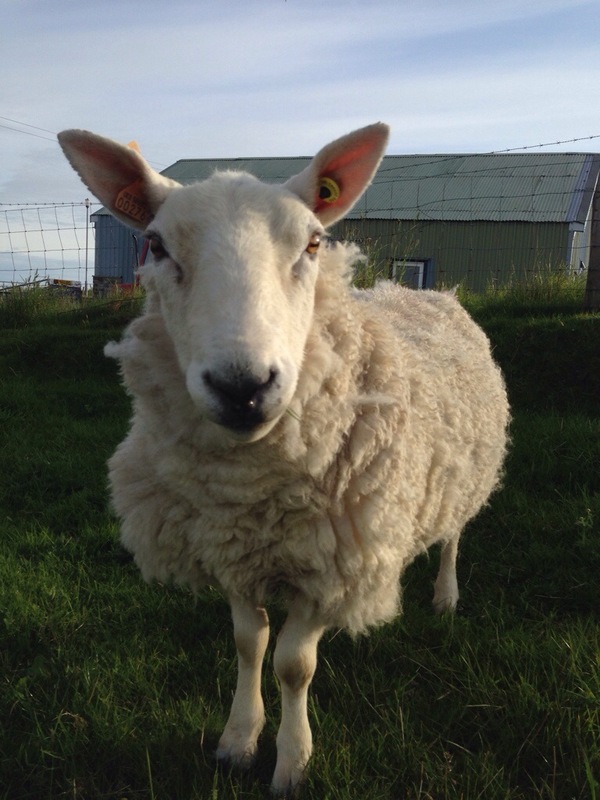 Hopefully the fact that I got her very early will minimise the risk to the rest of the flock. 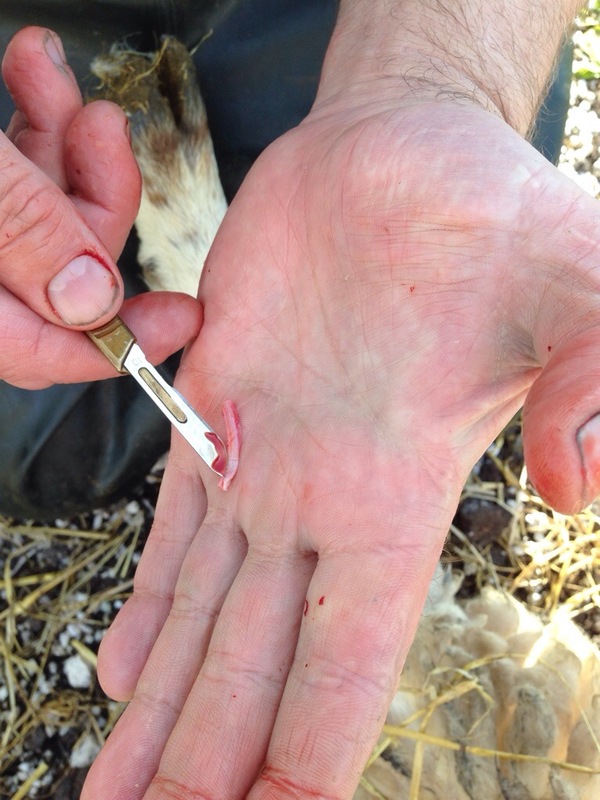 It’s not uncommon and I had issues with it in 2012 and also 4/5 sheep last winter, including this same ewe. I spent a relaxing morning in the fank yesterday, all on my own, tending to the sheep’s feet. The hooves of the sheep are like our own nails; always growing. 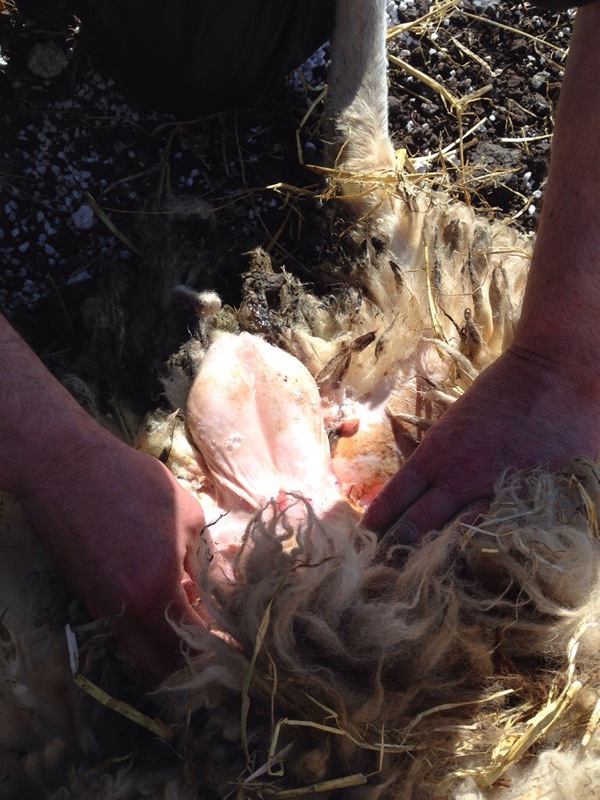 You can get things like foot rot, which causes the sheep pain/discomfort and is not nice. 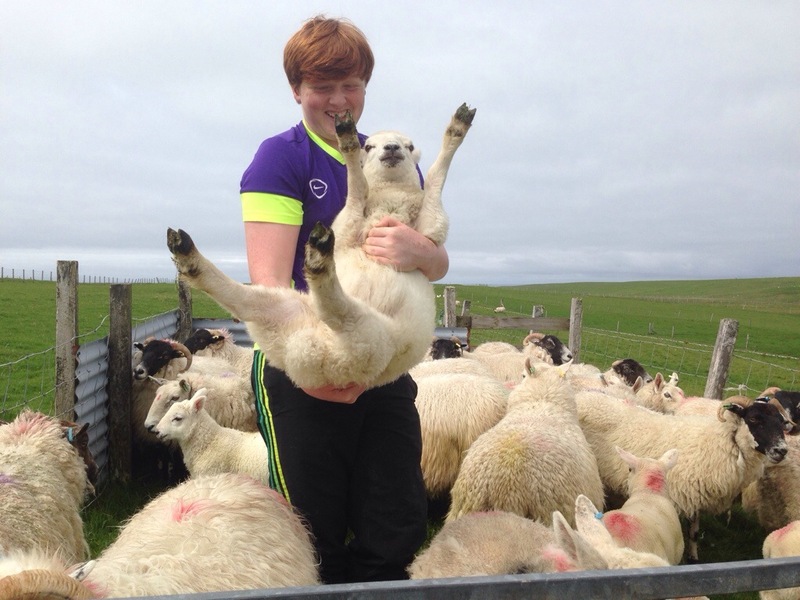 When shearing last week, I noticed a couple of the sheep had longer hooves that needed trimming, so I took them all back into the fank to sort them. 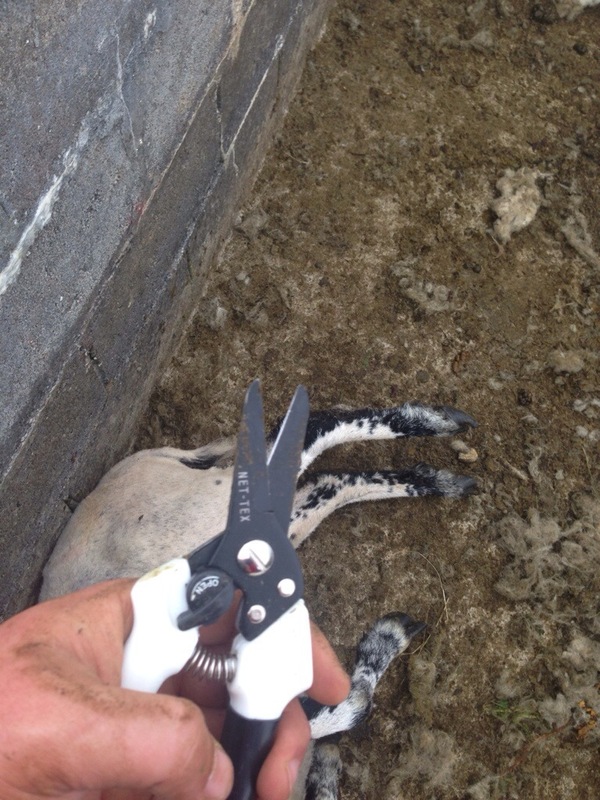 The shears snip through the hoof easily and the sheep feels no discomfort. The end product looks much neater, just the way it should. 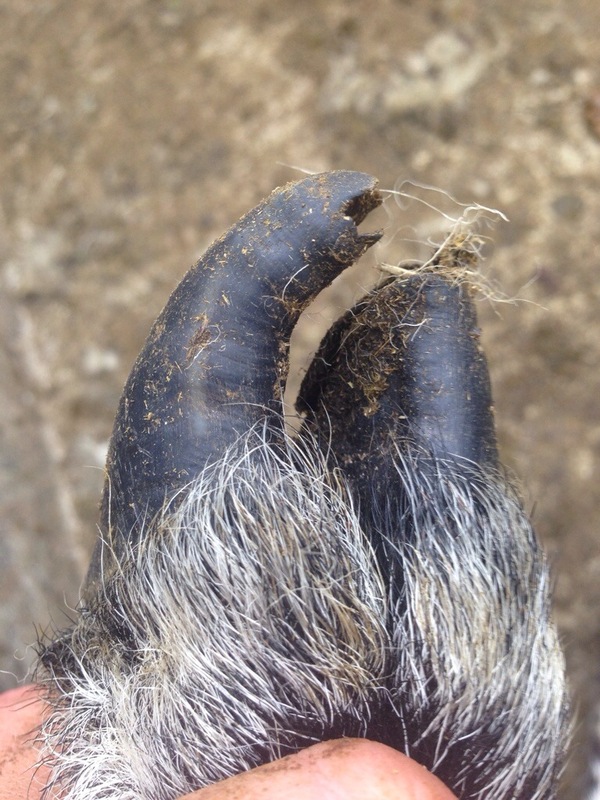 The beauty about our traditional stock management system here, is that things like foot rot are minimised by methods that have been used for generations. Sheep here have traditionally spent part of the winter on the moor. The heather is perfect for cleaning in between their hooves, meaning they are clean and don’t need as much human influence. Mine have just spent 2 weeks in my apportionment, which cleaned out their feet nicely. No sign of foot rot or any diseases, just some superficial trimmings required. My one remaining intact ram has a broken shoulder! 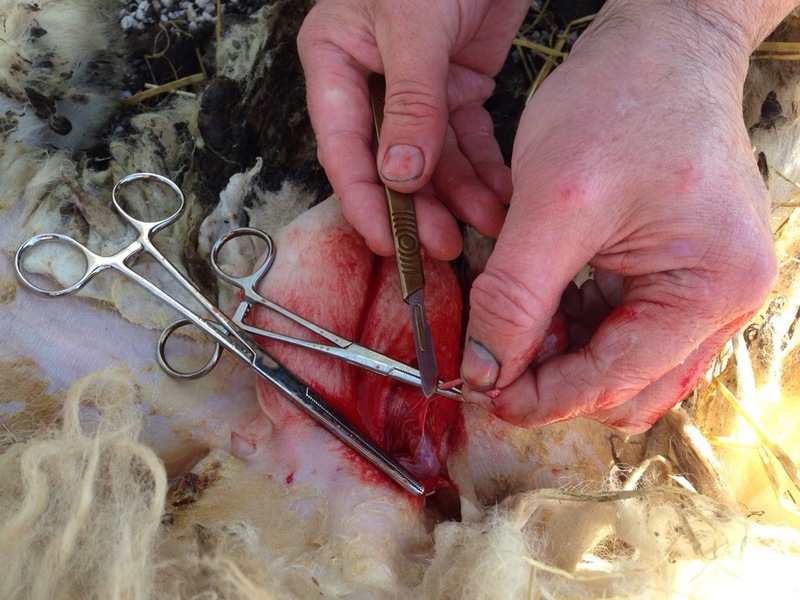 I had the vet over for the vasectomy for the other ram, so I asked him to have a look at this one, as he had a limp and I couldn’t figure out what was causing it. 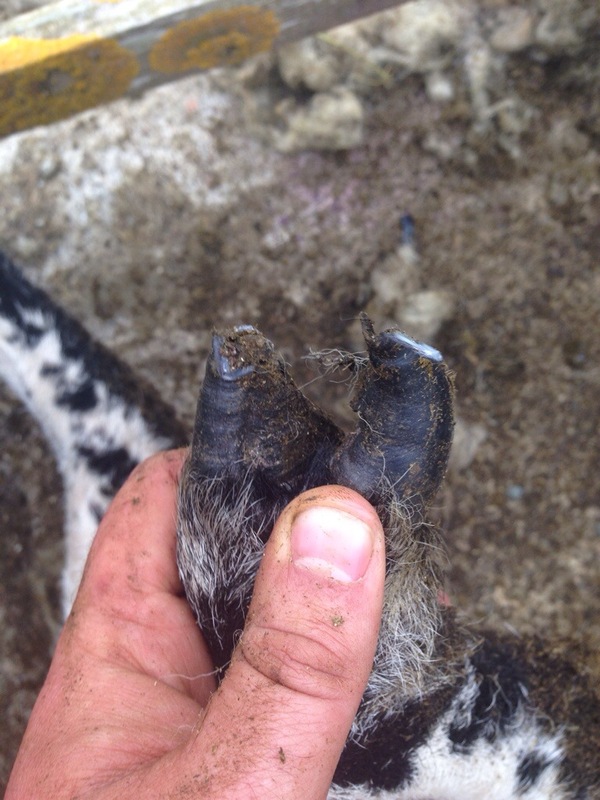 He started at his hoof and worked his way up the joints until he figured his shoulder was broken! I felt it myself and could feel it click when pressure was applied. He’s been like this for a couple of months but will hopefully be ok for autumn. It’s his front right that is affected, meaning he should still be ok to serve ewes. If a ram injured his rear leg, he’s not much use, but front in manageable (rear takes the weight when he mounts a ewe). We’ll keep an eye on him and the vet will check him in a couple of months. I now have a ‘teaser’ ram. One of my friends told me about his a few years ago, but I didn’t pay much attention to teasers, until I saw the affect it had on my neighbour’s lambing last year; numerous sheep lambing each day, while I was having a max of 2/3. Anyway, the process is quite simple. 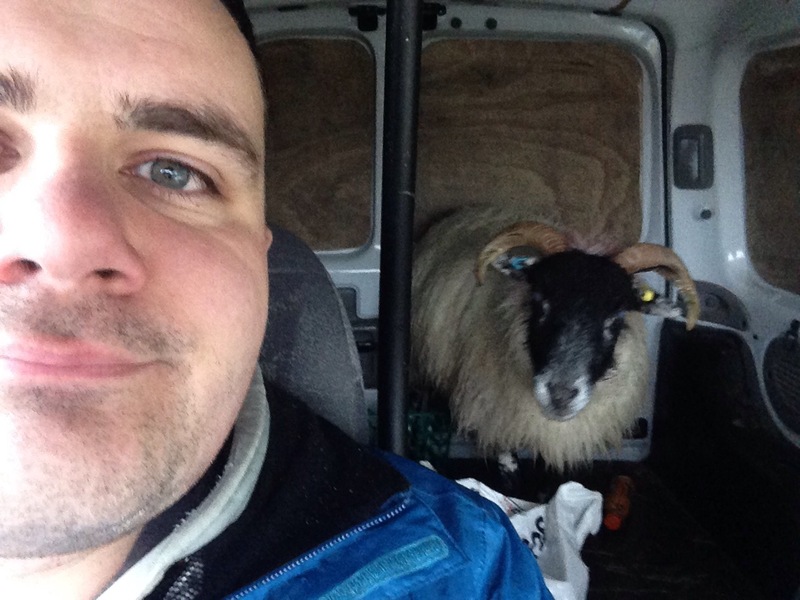 A ram is given a vasectomy and this does strange things to the sheep! The teaser is put in with the ewes 10 days before the ‘intact’ rams. 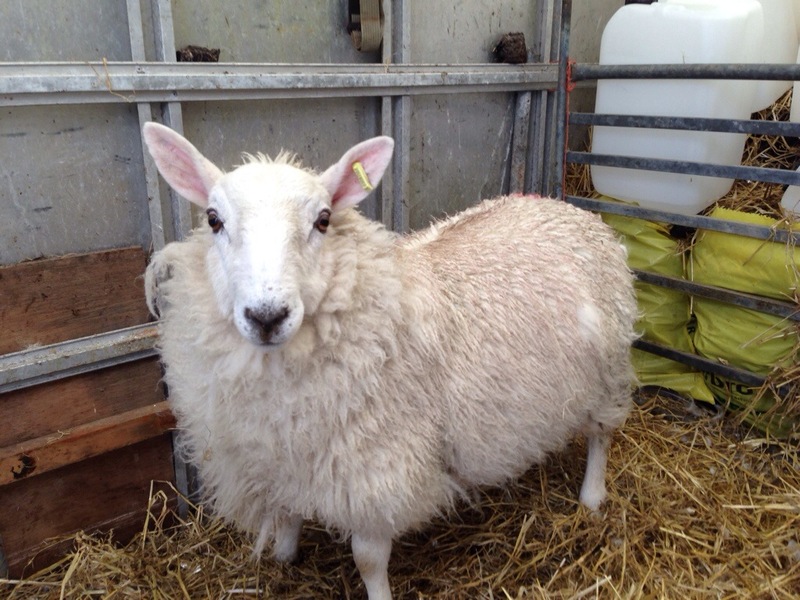 This brings the ewes into season and also synchronises their systems, meaning your lambing period is much tighter. This year I was up at 5am 39 times in 42 days. I was exhausted. Hopefully next year won’t be anywhere near 42 days! The process with the ram was quite simple. I have this ram lamb from last year. Wasn’t sure what to do with him, as he is related to too many of my sheep, so this was an easy decision. I made the appointment when Bud was over for his own ‘sensitive’ operation. The vet wanted it booked as soon as possible, to avoid fly strike. Suits me, so we got it done the following week. I had to sit an hold the ram, while the vet did his thing. 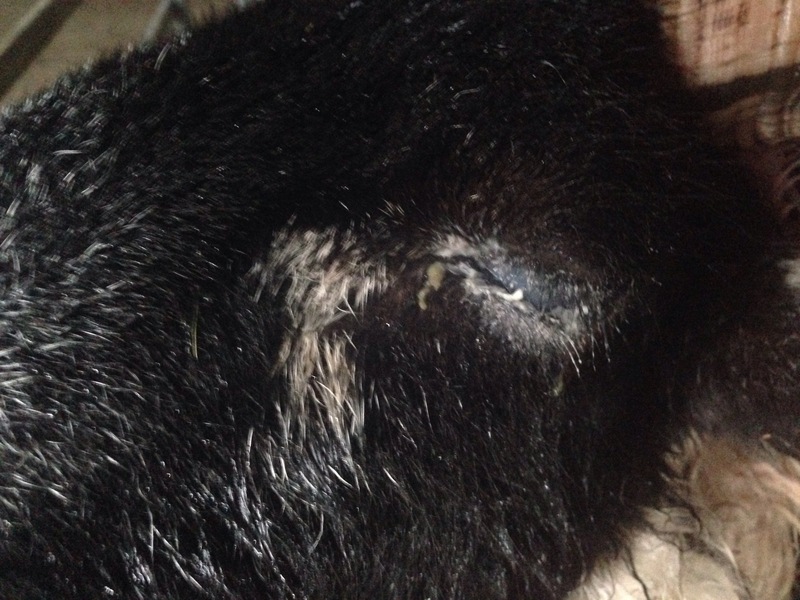 The animal is given a sedative, the area is given a local anaesthetic and then cleaned. The job takes around an hour and I’ve been told it’s similar to the process on humans. Tubes from the testes are snipped and a length removed, to ensure it doesn’t grow back and repair itself. Quick and painless for the animal. It will actually mean he will have a nice long life here now, given that I won’t have to move him on. Fingers crossed this all works now! 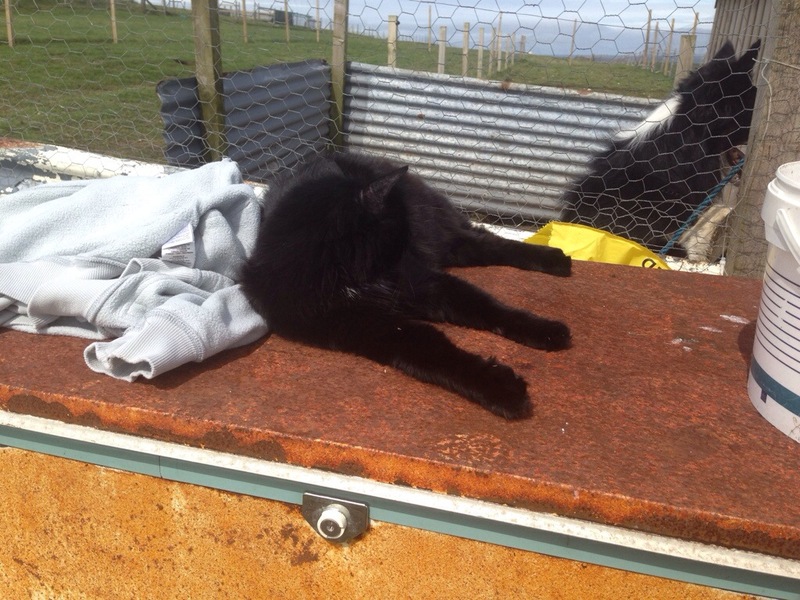 I’m quite sore and tired from all the work yesterday; every single sheep drenched and all the lambs vaccinated. I also removed a trio of birds that I am going to breed from. I hatched these Speckled Sussex from eggs I got online last spring. Fantastic birds and I’m going to hatch a batch of my own now. So on to the sheep. They are split into 4 smaller flocks, to spread them amongst the crofts. That means more work gathering and penning them. We’d probably have been done in an hour, had they all been together. 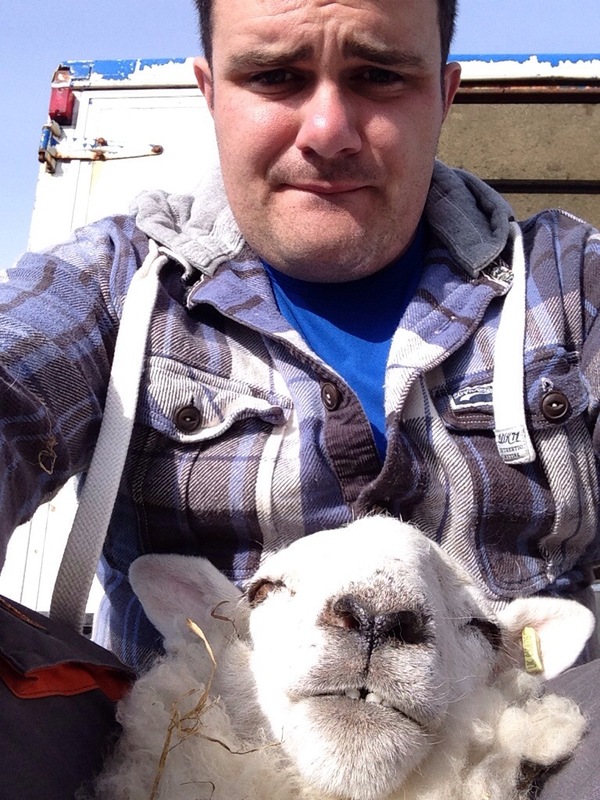 Uisdean passed the lambs to me and I doses, injected and checked them all. We worked quite well and efficiently, just the way I like it! 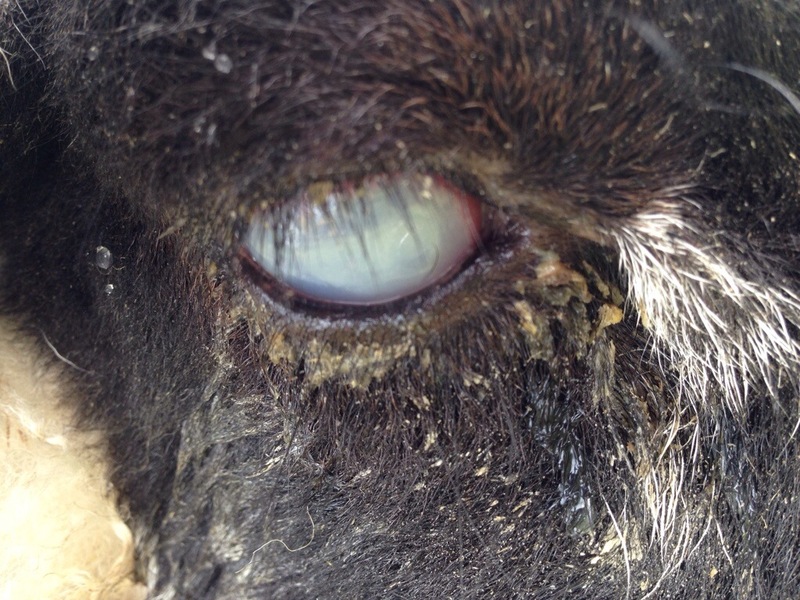 So I’ve been away for a few days and I’m greeted on my return by 11 sheep suffering from ‘an duille’, when the eye goes kind of grey/opaque and the sheep goes temporarily blind (as long as she’s treated). This picture is one of the two sheep that are suffering the most, the others are only showing slight symptoms. It’s not unusual, especially during wet weather. The problem is that it’s highly contagious, so it’s spread between sheep when they’re close together for feeding. I’ve had similar issues before, triggered by an eye which burst and spread infection, but this isn’t as bad. 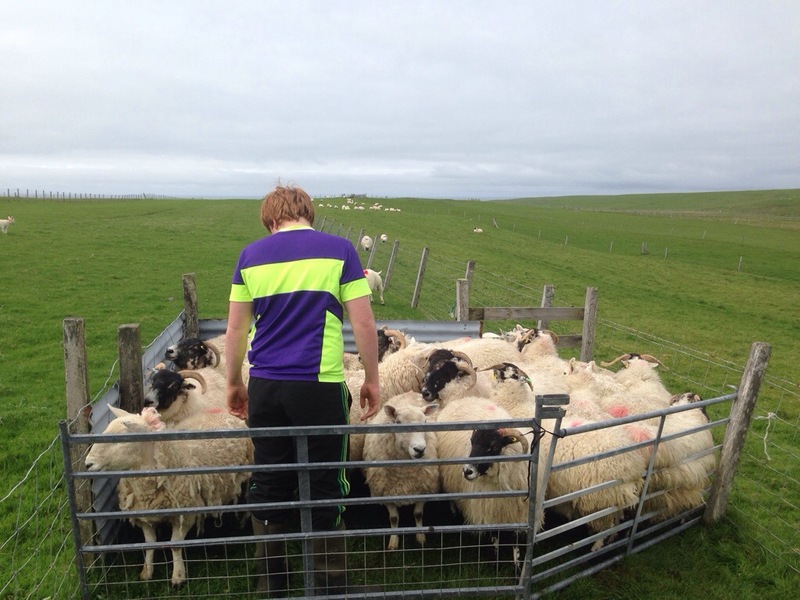 I had to move the sheep to their lambing fields today, anyway, so I penned them while I was doing that. My father thought he spotted 4 with it, but I found another 7. 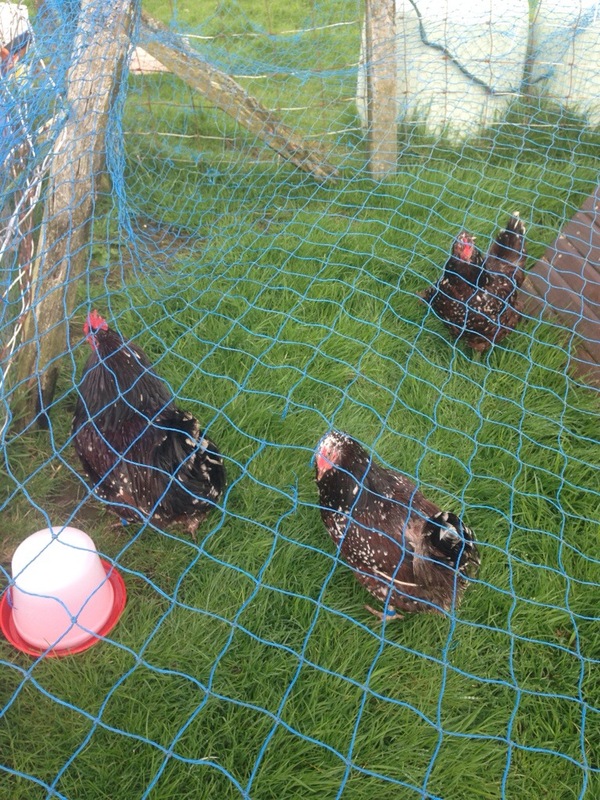 They have been separated from the rest of the flock and will be treated with opticlox over the next few days. I have no concerns about the sheep, they and their lambs will be fine. I hope.